Cruiser Safaris yearly safari hunting client newsletter. Every year Pieter & Lizelle make improvements at Cruiser Safaris in South Africa. We felt that it was about time to make some improvements to our web site also. All of the information that has been on the site will still be there but we are going to go with a new look and a few improvements that may make it even easier to navigate. This is a time consuming job we will be working on throughout the year but over the next few months you will see some of the improvements as we make them. Even though the new look hasn’t been finalized at the time of this writing we have already updated some of the pictures and made a couple of other changes that you may not have noticed yet. Our host page has new pictures on it and we have changed our photo gallery page to show what is happening at Cruiser’s. Rather than having hunters pictures on that page we are putting on current event pictures instead. As the hunters pictures are on this newsletter we felt that showing different activities throughout the year would give those that visit that page a closer insight as to what is going on. There probably won’t be a lot of pictures added on a certain timetable but if you have any pictures that you feel would be fitting for that page just send them to me and I will add them. Something else that is new is that we now have our own Facebook page. 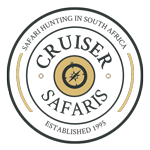 Just go to Facebook and type in Cruiser Safaris or click HERE and you will see recent hunters and other pictures of Cruiser’s there. Pieter & Lizelle hired a professional photographer to come to Cruiser’s this year and make two videos for us. These outstanding videos show all the aspects of our camp and hunting area and include aerial photography and a Blue Wildebeest hunt. You can see the video of our lodge facilities on our Accommodations page and the hunting video on our Packages page. There are a couple of new faces at Cruiser’s. Craig left the end of August last year to pursue a business career in Lephalale. His smiling face will be missed around the camp but we wish him the best. Our new PH Sorel joined us about the same time. Johan and his wife Amalia have now taken over the management at our new property across the river. Pieter has moved a large portion of his Sable breeding program there and they both will be very busy moving this program along. Our PH’s Hans, Sorel & MC have returned this year and are joined by our newest PH, P.W. All of them are working hard to make sure that everyone’s safari results in having a great time and harvesting quality trophies. Our newest addition is our Souvenir shop. This will help give those hunters that just can’t get enough hunting an opportunity to get a few gifts for friends and family before they depart Africa. This is not a large gift shop but we have included items for everyone that will bring back the memories of their trip to South Africa. Since this is a new venture we would love any suggestions about additional items that we currently don’t carry. This hunting year got off to a wet start because of extremely unusual heavy rains the last portion of February. Even though it was muddy and the trucks got stuck more than usual our first hunters enjoyed excellent hunting even if we couldn’t get to all of our properties. In following my tradition of trying to give the reader of the newsletter the feeling of actually being on their safari with them, all of the stories that are included here are those actually written by our clients. These personal stories are enjoyed by everyone as they give the views of the hunter and non-hunter from their position. Every hunter that comes to Cruiser’s is included in our newsletter. Included are where they are from and all of the animals that they take. Those trophies that qualify for the record book are indicated by an * and in the case of Kudu’s, their size is also listed. All trophy pictures that are sent to me are included as well. Thank you to those who have contributed their safari stories and I hope everyone enjoys this 2014 edition of Cruiser Safaris newsletter. NOTE: The * behind the animal indicates that it qualified for the record book. (Aric’s Giraffe hunt as told by his PH Sarel) The Giraffe, Uncle Aric shot was probably the highlight of the hunt. We spotted the Giraffe cow a couple of times before we decided we are going to shoot it. She was an old cow and had a lot of scares and marks on her. She didn’t look too healthy, so we thought we will put her down to help her. We started early that morning looking for her. We saw a couple of other ones but she wasn’t in the herd. After about a 40 minute stalk I send my tracker “Samuel” back to the truck to go fetch the truck and he spotted the old cow. So he got the truck and came to fetch us, and then he gave us the good news. So we went back to the place where he spotted her and she was still there. We got off the truck and slowly stalked around her just to get the wind in our favor, but she had spotted us already because she was so tall. We got on the sticks after a while and we waited for her to get out behind the tree. She slowly started to move and gave us a perfect shot. She stopped and I gave Uncle Aric the go ahead. The first shot went off but she looked at us and she made that .375 H&H looked like a pellet gun. She then started running. I told uncle Aric to give her another one, and then another one, that stopped her again. She stumbled a bit and then turned around completely. I told him to give her another one, and that was the final round. She stood for about another 10 seconds and then she went down. That big animal hit the ground and it felt like an earth quake. All of us were very happy with a beautiful trophy. At least it was early morning when the hard work started. For the skinning; Peter and the crew helped us a lot. We had a good hunt. NOTE: Dean is the star of our hunting video on the web site. DEAD is DEAD! The impala Hunt. Sarel, PW, and I went to hunt Impala. I was a beautiful morning and had returned to the property where we had seen a very nice ram, about 24 inches the day before. We drove and spotted a large group of impala and started a stalk, we got within 150 yards and the ram Sarel had picked out was less than cooperative to be shot by my 338-06, so a bit of patience, more stalking, and then, the shooting sticks were set up. I go to the sticks, make ready. Sarel whispers: "Take the one the left, next to the bush, see him? "(I look through the scope, I find him) "Yes, I see him, how far, I reply?" Sarel, whispers back, "about 130, but let him turn left a bit"....KABOOOOOOOOOOOOOOOOOM! The rifle recoiled and broke a side of the shooting sticks off, (I got a small cut on my lip from the stock as it recoiled.) After the shot, the herd bolted and I did not see the animal I was aiming at due to the recoil issue. I look at Seral and PW............"did I hit him?" "YES, YES nice shot, he dropped right there, they both replied." We walk up.,,,,,,,,,,ram is laying there, kicking a bit, I said, I will give it another one. Sarel says no need, you want a shoulder mount. PW and I will take care of it. I have seen the process of cutting off circulation and it works 99.99 percent of the time. (I shot the animal in the neck) After several attempts of this, (this was one tough ram) we were going to do plan B. "Give it another one" As Sarel and PW were getting up off the Impala...............the Impala made a kick got to its feet and................OMG it was like, WTF.......then PW grabbed it by the horns, that, or get stuck by horns.......now he is fighting with it!!!!!!!!!! Sarel yells............"shoot him"..(Why does he want me to shoot PW, he is a nice guy).....Lots of stuff was going through my pea size brain at this point..........Shooting PW was soon taking the..........."Only thought"!!!! "I can’t shoot" I yelled.........."I will hit PW." This is one of life moments when you think..... "WTF is just happening?" No one back in MN will believe this story! PW, finally released the double horn lock hold on the impala. The Impala takes a leap and another and I hear both yelling, SHOOT..................SHOOT that ! @#$%$%$#@!, .........!! I do as told, and "give it one more..........! (Now you tell me........LOL!) Dead and in the salt. The look on three grown men’s' faces........after the Impala went down, and the phrase "WTF" was used so many times in the next few minute........ I think we set a world record..........:)LOL man oh man, never will I forget that moment in my life. Sarel and PW you guys are the best. THANKS FOR A GREAT SOUTH AFRICA HUINTING EXPERIENCE! I HAD A BLAST! This was my second trip to Cruiser Safaris. My first trip was 5 years ago with my son, and I never took the time to write something for the newsletter. I wanted to make sure I did that this time, because Cruiser Safaris is an excellent outfitter to utilize. Just like the first time I went over, Cruiser Bob is helpful from start to finish. My first trip over in 2009 I did a 7 day package and took a Red Hartebeest, Blesbok, Kudu, Gemsbok and an Impala. On my first trip I missed a Steenbok and couldn’t get a shot at a Water Buck. So I booked my April 2014 trip about 13 months in advance to add to my collection of Plains Game. There was no decision easier than to go with Cruiser a second time. They take extremely great care of you, and it is an exceptional place. Once booked it was a very long wait, but well worth it. This time I booked 8 day build your own package. I was bound and determined to get a Water Buck and Steenbok as top priorities. I also wanted to get a Warthog, Duiker and Blue Wildebeest (and had a few others I was thinking about). I had booked April hoping the grass would be shorter, but unfortunately the rains had come late. I used the Custom Travel service and Afton Guest House and travel went extremely smoothly. I choose to do the pre-approval so getting thru SAP was a breeze. I flew in an extra day early so I could be well rested for my hunt. MC one of the PH’s picked us up and took us to camp. Went to sight in rifles the first afternoon when a storm rolled thru and took out power. Ended up getting the rifle sighted in, so hunting could start the next day. First day we went to a far concession and planned to stay out all day. Saw a few nice animals in the morning, but not what we were after. We were focusing on Waterbuck and Blue Wildebeest. Right after lunch when we were heading back out, a nice big fat Water Buck was there. MC said shoot, and it dropped about 25 yards later. A Blue Wildebeest was with it and MC said to shoot again, but I wanted to make sure the Waterbuck was down so I didn’t take a shot. With the temperature we didn’t have very long to stay out, but MC said we could go an hour or two before heading back to camp. After about an hour we had seen a couple Blue Wildebeest, but couldn’t stalk close enough. ; Shortly after there was one walking across a brush line, and it was facing away from us. It was a really nice one, so waited for it to turn so I could get a nice shot and dropped it. We headed back to camp after that from a very successful day. Second day was Steenbok and Bushbuck (one I decided to add for Spiral Quest) (and warthog if possible on every hunt). With the grass so tall the Steenbok were hard to see or get a shot at. Same with the Warthogs. In the morning we walked the river and saw some female Bushbuck, one that was about 15 feet from us. No Males though. In the afternoon we were going along the other river part, and we were stalking a Bushbuck but couldn’t get close. We continued thru and a Bushbuck came out heading straight for us. MC told me to shoot, and I did but knew I hit it too far back. It ran about 50 yards and laid down. I lined up for a shoulder shot and third animal was taken. Next two days were focused on Steenbok. I really wanted that one since I missed one my first time over. We hunted the same property both days and mapped out many male Steenbok. I passed up a barely shoot-able one, hoping I wouldn’t regret it. All week I kept thinking of the saying “Don’t pass up today what you would shoot on last day”. The fifth day I was focused on 3teenbok. and Warthog. I hunted with MC in the morning, and Pieter in the afternoon. I helped Pieter out with some Technical Network issues, in return for him hunting with me. Was great to catch up with him, since it was like seeing an old friend after many years. Saw lots of animals in morning and afternoon, but the grass was still making it very difficult for the Warthogs and 3teenbok. With the grass being high, I decided to add a Nyala and an Eland so I could to finish out my spiral quest. The Sixth day I hunted 3teenbok. in the morning, then late morning went for Nyala. Took a really nice Nyala right before lunchtime. Hunted for Eland in afternoon finished with hunting 3teenbok. and Warthogs toward late afternoon. Saw lots of possible animals, but they would move into the grass and just disappear unfortunately. The seventh day we hunted Steenbok. in the morning, then eland late morning but just couldn’t get close to the Eland. They can run forever it seems once they start moving. In the afternoon we went back to the concession we had mapped out all the 3teenbok. on hoping to catch one just right, and looked for Eland there as well. Saw both but just could not get stalked close enough to take either. I was starting to regret not taking the 3teenbok. that was on the Third day even though it would have been a small trophy. But late in afternoon we saw a really wide Blesbok. One of the other hunters in camp had wounded it and they couldn’t find it after a couple days of searching. MC and I scoped it out, and sure enough it was the wounded animal. We stalked it and it started to move. I handed my gun to MC so he could chase it down and drop it. As soon as he shot it in the brush, about 4 other Blesbok went running out. I said I hope you hit the right one! He was a bit nervous, but sure enough he had dropped the one and the other hunter and his PH came over to get the pictures. I am sure he was thrilled that we had found the Blesbok for him. That night Pieter asked what I wanted to do for the last day. I said I really wanted to hunt the property where we had the 3teenbok. mapped out. I was dying to add one to my collection. He rearranged another hunter/PH so MC and I could go back to that concession. We started into the eighth day focused on 3teenbok. About 45 minutes in we had already seen 3 shooters and 6 female. We just couldn’t get a shot….. We came around the one road and there was a Steenbok. It took off and we thought it was going into the bush. Instead it turned and hid behind a small bush about 40-50 yards in front of us. Lined up while MC was scoping it…. He couldn’t see the horns! I just kept the cross hairs in line, while he moved all around the truck, and then got off and said shoot. I did and took my 3teenbok.! I was thrilled. All told we hunted approximately 4 ½ days for the 3teenbok., and it will be a hunt I will always remember. We finished out the day trying for Eland, but couldn’t get close to them. All in all it was an amazing trip. Even better than the first trip. I was hoping to hunt with Johan again this trip, but he moved into Pieter’s Breeding business, but MC was a fantastic PH. We had lots of laughs, even had a points contest for who sighted the most animals. As the week progressed we made the point contest tougher and tougher, and amazingly the last day was the highest points scored. Even though I didn’t get my Duiker and Warthog, I was thrilled with all the animals I took. And it was great to see everyone again, and was nice that all of them remembered me from 4 years ago. So I can’t really say much more, although I regret it took me 5 years to return. I am already looking at a third trip to Cruiser in 2016 to finish my Spiral quest, get the elusive warthog and hopefully a couple more Plains Game animals to add to my collection. Cruiser is an amazing outfitter, and they treat you extremely well. I packed less on this trip than the first (more room for Hershey’s Chocolate bars) but still ended up over packing. But everyone loves the Hershey’s chocolate, so bring some over with you and Tiny will make an amazing desert. The hunt for my Gemsbok was one that could be written about in a magazine article. Stalking, waiting, and then crawling on our hands and knees before finally shooting off of Hans' shoulder was a hunt I will never forget about. I've probably told this story the most since arriving home. Hans and I went out for one of our "walks" looking for Gemsbok We were at it for probably two hours when suddenly Hans dropped to his knees and was pointing ahead of us probably 125 yards away. He was telling me there were Gemsbok there, but as much as I strained my eyes, I could not see them. Finally, with a swish of a tail, I could see the small group of four standing there facing away from us. We dropped binoculars, backpacks, and even the shooting sticks so that we could slide ever so carefully ahead. It took us at least twenty minutes to creep forward about 50 yards. The group of Gemsbok were not moving, with the exception of their jet black tails. Hans could see the bases on one of the animals and could see they were quite thick, but we were not able to see the length of them. Finally, a female with very long horns walked from left to right, behind the four animals we were looking at. Where she came from is anyone's guess. We opted to stick with the four we had been sneaking up on, with the thought the one with the thick bases was a male and his horn length matched his horn thickness. After another thirty minutes of creeping forward, finally the big male began to move to his left. He presented me with a very harsh quartering away shot, which caused Hans to place my rifle barrel on his shoulder and tell me to shoot. With concern that my 7mm Remington Mag. would deafen Hans, I pulled my rifle back. Hans insisted and I moved closer so that at least the end of my barrel was as far past Hans as I could make it. By now the Gemsbok turned completely around and presented me with a perfect broadside shot. I fired and Gemsbok whirled around, ran about 20 yards, and was now facing us. I fired again and he was down. I couldn't have been happier. The bull measured 37 5/8 inches and will make an incredible trophy for me to gaze at while planning my next trip back. Besides hunting most memorable moment: Our last night in camp, Pieter told us to grab a jacket and that we were going to go for a ride. We drove for about 15 minutes before arriving at the river where we were greeted by the Del Marie and Amy who had a wonderful dinner set up for us. Sarel and MC built a fire and Pieter proceeded to grill steaks and sausages on the coals. It was absolutely incredible! Words cannot properly describe this meal. Laughing and telling stories around the fire while the steaks were being grilled, and then to sit down and eat on such a wonderfully decorated and comfortable setting was truly memorable. I will cherish this night as much as I do the hunt. (Lloyd’s Kudu hunt) We had seen a couple of smaller bulls but were looking for a larger one. We finally saw a shooter and got off the truck to begin the stalk. We didn't get ten feet and he took off. They don't call them the grey ghost for nothing. We drive around for a while and then make our way back to the area where we saw the bull and there he is again about a 100 yards out. Tiaan (my PH) wants me to shoot him using his shoulder as a rest. This is the first time I try to shoot off his shoulder. We are about the same height so I could not get comfortable shooting that way. Tiaan grabs his shooting sticks. It was a somewhat awkward position but better than his shoulder. By this time the bull had moved behind a large bush which covered up his vitals. I got a shot off through the bush and we were pretty sure it was a good hit but the bull took off running and we lost sight of it. We started tracking it but it had only run about 50 - 60 yards. That hunt was over. After the bull was cleaned and skinned the bullet was retrieved. I shoot Barnes VOR-TX 180 grain bullets with a 300 Win and they perform beautifully. This bullet from the Kudu had not opened. After shooting through that bush the bullet must have been slightly deflected because it entered the bull sideways. I have never had anything like that happen to me before. (Lee) We participated on an 8 day / 5 animal package with Cruiser Safaris on May 13-23, 2014. My wife joined me along with my son, his wife, and his mother-in-law, along with a mutual friend. We actually found Cruiser on an internet search while considering many other options. Their website was clean and informative, their references were really favorable, and their rates were very attractive. We noted that many of their clients were repeat customers. Our first contact resulted in all of our immediate questions being answered quickly and thoroughly. Once we paid our deposit, it triggered a stream of useful information right up until the time we left that contributed to the ease of our travel and success of our trip. We stayed at Afton Guest house the first evening on arrival in Johannesburg and found that to be a good choice. We had submitted all of our gun information in advance and Afton had our permits ready at the airport which resulted in only a 5 minute visit to SAPS. Cruiser met us the next morning right on schedule. We were greeted at the remote lodge by Delmarie with ice cold lemonade, which set the tone for the hospitality we received the entire stay. The lodge was like an oasis in the middle of nowhere but contained all of the amenities we expected. The facility was very clean and orderly and the daily laundry was expert. The rooms were better than expected. We all felt very safe there and comfortable with the accommodations. Ostrich, sable, and nyala could frequently be viewed from the lodge. We purchased sim cards from Vodacom at the airport hopeful we would have cellular service. We later learned that MTM is the only carrier with service in this particular remote area. The four hunters were each assigned to our Professional Hunters the first evening and we each spent some time getting acquainted. As the hunt progressed, it seemed curious to me that we all seemed matched well with the different personalities. In addition, each hunter (and observer) was assigned to a truck and a driver/tracker for the duration. We each hunted in different locations on different properties so we usually never saw each other until we returned for lunch or dinner. The greatest distance we hunted was about an hour drive, while some of the other areas were only 15 minutes. My wife somewhat reluctantly went with me on 6 of the 7 successful hunts and enjoyed herself much more than expected. She appreciated the courtesy extended to her and the ability to view an abundance of different animals. I successfully harvested a Zebra and Gemsbok in addition to the package of Kudu, Impala, Blesbok, Warthog, and Blue Wildebeest. While animals could be spotted from the road, many of them involved long stalks of several hours. My pedometer recorded more than 5 miles walked the first day. I preferred stalking. I successfully completed my 7 animals in the first 5 hunting days and we were discriminating in our selection. I didn’t take a tape measure with me, but my Kudu and Blesbok both score in the SCI record book and my Gemsbok and impala are beautiful trophies. Each one has a story and a special memory. My priority was not just about killing things or record books, but to create a memorable experience with friends and family. Mission accomplished! There was an incredible abundance of animals and selection. Of the four hunters there on this 8 day package, we collectively took 43 animals. Some of us took some time to tour a local game preserve and then some left a day early to return to Johannesburg for some touring. Cruiser was very accommodating to facilitate this. Some random thoughts about Cruiser. We felt more like family and friends than an outfitter / client relationship. Dinner each evening was a feast and kind of a ritual that did not start until everyone was present. The food exceeded expectations and included some of the game meat, which was surprisingly good. There were always snacks and all kinds of drinks available at all times. Fresh squeezed orange juice was always on the dinner table. Despite the time we left each morning (sometimes 5:30 AM) there was always hot breakfast. We had a steak barbecue one evening, ribs on another, and a chicken barbecue on yet another. The PH’s were veterans and very skilled in their profession. They were sometimes pranksters with a real wit and sense of humor, but were no nonsense when it came to safety and hunting strategy. My PH (Hans) had 14 years of experience and his senses were almost super human. I am an old hunter but I probably learned more than I knew. They were instructive and yet patient with the rookie hunters. Pieter and his staff went the extra mile to insure we had a maximum experience. My son celebrated a wedding anniversary while there and they were treated with some surprise gifts in their room. Pieter took the ladies with him to his church worship service on Sunday which they really enjoyed and one morning he invited my wife and I to view and learn about his sable breeding project. The personal touch was appreciated. Cruiser’s appears to have evolved into a very organized first class package operation. Their onsite skinning sheds and coolers and their relationship with Highveld Taxidermy helped make some decisions very easy. Unless a hunter desired to help, you were not expected to ever touch your animals. It is safe to say that our expectations were exceeded in every respect. Perhaps more importantly, there were no surprises, hidden charges, or any unwillingness to honor every reasonable request we made. It is no surprise that nearly one third of their clients are returning customers. With the abundance of animals in the Limpopo region, I expect that most outfitters could produce opportunities for a great hunting experience. The difference for me is I would expect it really hard for others to exceed the personal touch and hospitality we experienced. We had all considered this to be a once in a lifetime experience, but were already talking about “next time” before we even got home. I kept a detailed diary which I continue to read over and over and I created a nice photo album which I can share with friends and family. (Rand’s 2nd Warthog & Caracal hunt) I had already taken every animal in my package plus a jackal by day three. On day three I ended up shooting a warthog on a left to right dead run at about 100 yards. It was a fun hunt and an average warthog. After tagging along with my buddy and my dad on some of their hunts, I decided to go after warthogs again. My wife and her mother even joined in. We decided to walk the thick bush and trees as it went along the river in search of pigs. The wind was perfect for this walk and stalk as we bumped impala, wildebeest and female warthogs all at close range. After nearly 3 hours of walking, there he was, right in front of us as we rounded a tree. Of course he was running. The sticks went up and I made another running shot at a warthog, this time as he was running straight away from us. He went right down. It was a very evenly tusked warthog with nearly 12 inch tusks on both sides. Exactly what I wanted when I pictured my warthog form Africa! After loading the warthog and heading back to camp, a caracal cat crossed the road right in front of our cruiser. It stopped just long enough for me to get a shot off through the bushes. Another awesome and rare trophy! (Em’s Kudu hunt) It was a cold morning in South Africa as we were driving down a bumpy gravel road. We were headed to the mountainous region and were hoping to reach our destination by daybreak. I was told I would be the last hunter on this property because it was being sold, not to mention I only had a day and a half left to hunt. As such, the mission was set and there was no time to waste. We were in pursuit of the elusive gray ghost of Africa, the Kudu. The plan was to climb the peaks and search the shadows for this elusive creature. However, before we began our ascent, we decided to revisit a large open meadow where we had seen some Kudu cows barking at us the previous evening. The bull never appeared and we figured he might have caught our scent and remained concealed. On my shoulder, I had my 7mm Sako 85 Hunter paired with a Swarovski scope. The ammo of choice was Barnes Triple Shock. It is my preferred large game setup and I’ve learned over the years that if I shoot straight, I only need to shoot once. As we slowly approached the field we could see the morning sun shining across the tall African grass. We paused to glass this wonderful landscape and like a dream; we saw a majestic Kudu bull standing between two thorny trees. He was about 200 yards away and his horns were glistening as he basked in the morning sunlight. I lined up my crosshairs and waited for the command to shoot. Apparently, my PH had already given me the green light but in all the excitement I did not hear it. Just as the bull began to turn for the hills, he gave the command again and it was crystal clear. I held and squeezed and the gun went off like a surprise. I did not feel the recoil and barely heard the shot, but the bull reacted immediately. He coiled inward like an accordion and his tail quivered like an angry peacock. I could see it was a solid shot. We quickly rushed to close the distance and with every galloping step, my heart pounded in unison. As I bounced across the tall grass, I kept my eyes focused on where the bull last stood. Finally, we reached the spot and saw where he thrust his hooves across the dirt. He left a long furrow along the ground and enough blood where even a blind man could track him. Suddenly, my PH turned with a congratulatory handshake and a delightful smile. The massive bull had only gone about 40 yards and he lay in the brush like an overturned truck. He was big, beautiful and bold, and he was mine. As I placed my Sako down beside him, I knew I had taken a very respectable bull. Even my PH knew it was a monster. He was a marvelous, mature bull and I was delighted to have experienced such a wonderful safari. It was an honor and a privilege to visit this great continent and I could not have asked for a better way to end this awesome adventure. Africa gave me great pleasure, perspective and new found appreciation. It was a trip of a lifetime! (Al’s Kudu hunt) We went to the mountain property but didn’t see much all day. Made a stalk on a young bull just for fun. It was getting close to dark when we decided to check out a water hole. As we drove up we saw a good bull and some cows. We kept driving past as to not spook them. We jumped off the truck and stalked back. My PH spotted the bull but I still couldn’t see him. After some details on where he is I got him in my scope. It was not a clear shot so we moved slowly to the left then I could see his chest facing us. Then I heard the words: HE'S A MONSTER! from my ph. At this time i couldn’t see his horns because of darkness setting in and branches in the way(that’s probably a good thing). My PH told me to settle in and take the shot. When the gun went off, the crosshairs were on his chest but a little left. The bull took off, my PH said you missed, I said no way it felt good maybe a little left. We looked for blood but couldn’t find any. Sarel went back to the truck to get a flashlight. We decided to come back in the morning and look some more. It was a long night; we got there in the morning and started looking. My tracker Monsune went one way my PH and I went another. We couldn’t find any blood. Sarel and I came out on a dirt road; we looked down the road and saw Monsune waving us to run this way because he sees something. We take off on a dead run to get to Monsune, only to see him stand up and give us a big smile and tell us that he found my bull. After hugs, handshakes, and laughter he showed us the track and blood that lead us to my bull. Where did I hit him, left center in the chest? This bull is 53" long and 3' wide. Unfortunately when you leave a animal overnight, critters find it. Some of the hide was torn off, and the cape was not usable. No worries Highveld has extra capes. It was an exciting and an emotional rollercoaster hunt, but very memorable hunt. (Richard) This was my first Safari and the crew at cruiser safaris far exceeded my expectations, I can't wait to go back. I would highly recommend Cruiser Safari to anyone weather this is their first Safari or their 10th. We arrived in South Africa on May 31, 2014 for our 4th hunting trip with Cruisers. We spent the night at Afton House and then 4 nights in the Sabi Sands Private Game reserve so Sandi could take photographs. We were back to Afton House for another night, where we met the hunters that had just come in from Cruisers, the other hunters going to Cruisers and PW, who what going to be taking us all to Cruisers the next morning. We were so excited to be going back! It was very unfortunate that the couple that was coming with us to Cruisers had a family emergency the morning we were to leave and had to cancel their trip. It was very disappointing after a whole year of planning, but family first. After a few stops for supplies, we were on our way. It was nice to recognize places and things along the way....and then came the tree. We were excited to see all the changes that Pieter had made since our last trip in 2011. Del Marie was waiting with our cold drink, and it felt like we were coming home. We were shown our room and were pleased with the changes in it. A patio door had been added so now we could sit outside under the tree and enjoy the view. Sable, Ostrich and Impala were all right out back of the lodge. I went out to sight in my rifle and was also pleased with the changes at the shooting range. The other hunters all went hunting for the rest of the afternoon and we relaxed and enjoyed the grounds. Craig had been my PH the last 3 trips....it was really strange that he wasn’t there. We missed seeing him and that big grin of his! PW was our PH this trip. We talked about what kind of hunting I wanted to do, and what I was interested in shooting. I had brought my bow as well.....in case I wanted to do some bow hunting. This trip I was hoping to get up close and personal with the game I was hunting...walking more and stalking the game on foot. On my previous trips to Cruisers, I had been fortunate enough to take some tremendous trophies, so this trip was about being selective for the game I was looking for. Pieter had acquired the property right across the river from the lodge, so we hunted that property for some big Gemsbok and Zebra. PW was very good at getting me up close to the game. We had to work had for them, though. These two animals were very elusive and just about the time we thought the shot was there they would spook and be one. One afternoon, we hunted with Pieter. This was one of the highlights of our trip. He has the best hunting eyes of anyone I have ever met and can track just as well. While we didn’t get a shot at anything, we did come across a Giraffe that was trying to eat a bone. When he couldn’t get it down, he dropped it into the bush, almost like he was hiding it. Pieter said he had never seen anything like it before. The other highlight of our trip was an unexpected visit from Craig and his family. He just walked through the door about 9:00 in the evening. It was so nice to see him! After a visit, we headed to bed and we could hear him, Johan and Pieter all laughing, talking and swapping stories until late. The next morning, Craig joined us on our morning hunt. Just like old times. I took a day off from hunting and accompanied Johan while he attended to a Sable that was in need of medical treatment. The vet came and darted the Sable, examined and treated her. It was very interesting to watch. The day to day care of these animals is a huge job. We came in from hunting and our evening was pretty normal...happy hour before supper, great meal, then sitting around the fire. When it was time for bed, we went into our room and the most wonderful surprise was waiting for us. Del Marie and MC’s girlfriend, Aimee, had done up a lovely basket for us. There was a bottle of Wild Africa Cream, glasses so we could enjoy a glass of it, sweets, biltong and mixed nuts. We were both really touched at their thoughtfulness. This is something that we will both always remember. All the others hunters that were in camp with us were great people. We enjoyed their company and shared in their hunting stories each day. We found that the focus this trip was not solely around the hunt, but it was about the whole experience. We thought of our friends many times while we were there, knowing how much they would have enjoyed their trip. Cruiser’s is a great place. Plain and simple. The people, the food, the accommodations, the quality of the animals......all outstanding! Pieter has a first rate operation and it only gets better. The changes we have seen since our first trip in 2007 are excellent and we expect they will continue to be so. Best of luck with your flying, Lizelle! Thank you to all the staff, Del Marie- your meals were delicious as usual, to PW for getting me up close and personal to the animals I hunted, to MC and Sorrel – your stories around the fire were so enjoyable, and to Pieter – your friendship is very special to us. We wish you continued success in your Sable program and all that you do. (John) 10 days of hunting with my son. It doesn't get any better than that. I don't think we could have had a better experience anywhere else. We saw many animals every day and some offered shots and some didn't. That's the way it is supposed to be. We took 20 animals in 10 days. We had a couple of 3 trophy days and at least one day with no shots fired. We started and ended with impala. In the middle we took eland, bushbuck, hartebeest, zebra, warthogs, nyala, steenbok, wildebeest, waterbuck, blesbok, and of course my son's favorite, his wide 51 1/2" kudu. The food and accommodations were exceptional. The staff was great. A true trip of a lifetime! (Bill) Cruiser Safaris is by far the best hunting operation I've ever experienced. This was my family's second trip to Cruiser's, and I wouldn't dream of going anywhere else in Africa, unless I wanted to hunt game that they didn't offer. Pieter, the owner is so involved in the business. From beating the bush himself to try to run out a stubborn bushbuck to cooking steaks himself, to driving us around to show us his sable breeding operation; he’s definitely hands on. It was great seeing Tiny, Pieter, Hans, Johan, Christian, and Lizelle again. All the "new" guys are extremely helpful too. Thanks Hans for your hard work in trying to get us all the game we were after. I think when I got my bushbuck to complete my spiral slam the last day of the hunt, Hans was happier than I was. Thanks to P.W. for helping my brother get his first big game animal and also for getting my permits, and making sure my wine glass was full. Thanks Pieter and Johan for taking us night hunting, and thanks to Tiny for the unbelievable desserts. Also, thank you Pieter for surprising us with the helicopter ride right before we left. You guys outdid yourselves this time. See you on the next safari! P.S. And thanks to Bob for all your help; you're a huge part of what makes Cruiser's successful. (Hunter’s Gemsbok hunt) After a stalk on a herd of gemsbok, we spotted a nice old bull just barely out of position for a shot. After a bit of waiting he presented me with a slightly front quartering shot off the sticks. Unfortunately, my first shot was a few inches back requiring follow up by Johan, Munsu, and Johan's dog. Watching Johan track the gemsbok was incredible. After what seemed like an eternity, Munsu came sprinting down the road yelling "gemsbok, gemsbok!” Johan and I sprint over and to find him lying in the grass. I got into position just in time to see Stacy (Johan's dog) charge in the grass after him. As soon as he stood, I put a Barnes TTSX through his shoulder to finish him. Johan turned a bad situation into a great hunt. It is because of him and Munsu that I got my gemsbok. It is one of those memories that will last me a lifetime. I put the picture of my gemsbok with me, Johan, Munsu, and Stacy on my desk. I can't help but smile and think of the great time I had when I see it. (Adam’s Kudu hunt) I hunted Kudu on the reserve. The first day we spent all day hunting in a very thick area. If the Kudu didn't stay by the road long enough to get a shot you would not be able to go into the bush to stalk him. I got a shot on a nice bull on the morning of day two (I missed a shot on day one). It happened so quickly. I saw thick bases and good turns of the horns and squeezed the trigger while P.W. said wait. Dang did you say to wait. He said yes he did, that he could not see the tips of his horns and could not tell if the Kudu was over fifty inches. I told him that I did not care and that it was my Kudu. Now let’s go get him. He said that he was my bull since I picked him out and shot him anyway. We had a good laugh and went about a hundred yards to get "MY" forty eight inch Kudu bull of which I am proud of. We (my wife and I) arrived in Johannesburg after the 15 hour flight....we were tired & a bit disoriented, but the photos from Cruisers website were quite helpful, once I got my bearings. We got our luggage and proceeded to the general meeting area where we were approached by representatives from the Afton guest house (Mr. X and Marius).....the Cruiser safari caps really helped to identify us to them. The next step was to get our rifles and permits from the SAP. I had all my paperwork in order, and with Marius' help we got my rifles and the rifles of the other folks headed to Afton Guest house. At Afton, we were shown to our rooms & offered a steak dinner, which we found to be a blessing as we were quite hungry. We had a drink from the bar and met some of the other guests, 4 of whom we found out were headed to Cruisers as well, so we ate together and got to know one another. We were picked up the next morning by Sarel from Cruisers, and after a few short stops we were on our way. I guess I was pretty quiet on the ride, as I was just soaking up the fact that I was in Africa: the buildings in Johannesburg, the people, the odd traffic signs, the animals, the country side.....in some ways it seemed familiar, yet not. When we arrived at Cruisers, we were met by Del Marie (the cook) and some of the other P.H.s. We were greeted with fresh squeezed orange juice and shown to our rooms. Pieter had given us the option of hunting for a half day at half the daily rates, if we wanted, but I think we all opted to just unpack & unwind after our long flights. We all went to the rifle range to make sure our rifles were zeroed in, and were impressed by a small herd of nyala (part of Pieter's breeding program) that were nearby and didn’t appear to be bothered by the gunfire. We explored around the camp and saw some sable antelope and a black impala, also part of Pieter's breeding program. After supper that night I met my P.H., Hans, and we were told what time we would be heading out.....since I had indicated on my form that I was primarily interested in taking a gemsbok, that is what we would target the next morning. I went and put my gear together and went to bed, but I had a little trouble sleeping that night, knowing that the next day I would be hunting in AFRICA!!! I went to breakfast the next morning and met with Hans, where we discussed my expectations (I was just looking for some nice, representative animals....not looking to "make the book"). We drove to a nearby property and Hans instructed me as to safety procedures (magazine loaded, but empty chamber) and to what his expectations were. Afterward, we got on the truck and not 2 seconds later he whispered excitedly "Look!....there's a jackal! Shoot him!” I saw where he was pointing and saw the jackal's head sticking up out of the brush....so I raised my rifle, took aim, and squeezed the trigger....only to hear "CLICK"! In my excitement, I had forgotten to put a round in the chamber (not used to hunting behind somebody....I've always had a round in the chamber). The jackal also heard the "click", and decided not to stick around to see what would happen next. O.K., lesson learned..........and thankfully, it was only on a jackal, and not a gemsbok! We started to drive down a dirt road and saw some hartebeest on the edge. Hans eyesight amazed me....I'm sure part of it was his vast experience, but he saw things I never saw, even after he pointed them out, and when I saw something a long way down the road, he identified them (correctly) as guinea fowl......it appears that the man has 10x eyeballs, and it wouldn't surprise me if he has X-ray vision as well! We saw some gemsbok to our right about 5-10 minutes after we started out, and when we slowed the safari car they turned and trotted off into the brush. We got off the truck and started a stalk. The ground was dry and the vegetation a bit noisy. Our first stalk lead us back to the road, where we saw the gemsbok and some zebra; the gemsbok were quickly making their way across the road and 3 zebra just stood there in the middle of the road......and I think that was the last time I saw a zebra standing still that day! Basically, for the rest of the morning, we would locate the gemsbok, which were herded up with the zebra, and when we would try a stalk, they (the zebra) would get spooked and take off running, and the gemsbok would follow suit. At one point we had a HUGE heard of zebra and gemsbok run across the road about 80 yards ahead of us....I hoped I had caught it on my Lid cam (I didn't) and it was a most AMAZING sight to experience!! We drove around that morning and saw almost all of the other animals on the trophy list: eland, impala, warthog, blesbok, giraffe, steenbok, kudu, etc. At one point we saw a group of 8 sable antelope, some with some very long, sweeping horns......their black bodies against the yellow grasses made an impressive sight, worthy of a post card! We attempted a few more stalks that morning, but were either busted by the zebras or some other animals (one time it was some warthog, another it was a hartebeest). Around noon we stopped and drove back to the lodge for lunch. After lunch we headed back out after the gemsbok. It was warm, and we didn't see too much activity to start.....a few impala, a warthog, a small group of blesbok heading for a waterhole. I was looking at all the different birds; the iridescent blues on the crested kingfisher will put a peacock to shame! Pieter has a book on bird I.D. in the lodge, so after seeing these different species, I would make a mental note of what they looked like and then check out the book later to I.D. them. We did find one nice animal standing in the middle of the road at one point, about 300 yards away. We backed up the truck to around the corner, got out and attempted a stalk, but the wind was at our backs and the gemsbok quickly vacated the premises. Shortly after that, we were driving down the road when two hartebeest jumped out right in front of our vehicle.....one of them was "average", but the other had a HUGE set of horns, and even I, with no experience judging trophies, knew that it was a good one. They ran in front of us for about 50 yards or so, and then jumped back into the bush.....if ever there was a time I thought about switching the species I was after, that was it!! We didn't see any more gemsbok until later in the day, about an hour/hour and a half before sunset. We found a small group of animals and we checked them out; Hans said they were young ones, so we moved on. A little farther down the road we spotted two more, which Hans ascertained were mature animals, and we decided to do a stalk. The brush was VERY thick; thicker than some of the stuff I've hunted Michigan grouse in....at one point we got to within 20 yards of the animals, but all we could see were their horns over the top of the brush. We kept following them, and they eventually joined up with the less mature animals. We kept looking for a chance at a shot, at one point they filed through a small opening about 100 yards away; the path was clear, but only offered a small opportunity if the animal stopped in the opening. Only one gemsbok stopped, and it wasn't one of the mature ones we were after. So.....we pressed on and continued to follow. We managed to get close and downwind of the herd, and were working and waiting to get a good shot, when all of the sudden all heck broke loose....BEHIND us! A pair of warthog had walked in on our downwind side, winded us, and spooked.......and they, in turned, spooked the gemsbok, which took off. Another blown stalk! We headed back to the road and called Jon (our tracker) to bring the truck around. We drove around till dark, but didn't find any more gemsbok. We went back and had a fine dinner which Del Marie had prepared, and listened to the stories from the other hunters about how their day went. Two of them had taken impala. While I was a little disappointed at not having gotten a shot at anything my first day, I was deeply satisfied with the fact that this was indeed a "hunt", and not a "fish in a barrel" shoot that some people seem to think high fence operations are. The area was HUGE, and I don't think we drove over the same ground more than twice the whole day. The next day Hans informed me that we were going after wildebeest and kudu on a distant property. I had planned on taking a wildebeest in addition to the animals in my package because that is THE animal that represented "Africa" to me.....going up as a kid, my impressions of Africa were shaped by T.V. shows like "Tarzan", "Daktari", and "Cowboy in Africa", all of which featured herds of wildebeest, as well as the many nature programs on PBS & shows like Mutual of Omaha's "Wild Kingdom". We drove about an hour, and were met by the area manager. The three of us (Hans, Dion, and I) climbed to the top of the safari vehicle and Jon drove us down the road. We saw some cow kudu, impala, and zebra (oh, no....not zebra again!). We started to climb a steep embankment when Hans spotted two wildebeest; one of which he said was a nice one. We stopped and started a stalk, but the animals ran off. We slowly worked our way down the embankment to a road below....I didn't realize it at the time, but Hans was tracking these animals and using his knowledge to go after them. It simply amazes me that he was able to follow these two particular animals over the rocky ground. We worked our way up the road and found a nice impala ram...we stopped and watched him for a while until we were busted by one of the ewes; then it was impala EVERYWHERE!!! We continued on and the tracks were heading to a watering hole that we had passed on the way in.....Hans said he thought they might be going to the watering hole, so we made our way there. We cautiously approached the hole, but there were no animals there and the tracks lead upwards on an incline past the hole, to a road up above. While we were walking, a herd of kudu cows appeared on our left, downwind of us....Hans spotted the first and stopped, and I followed suit. He whispered "kudu" and I saw them as they moved through the trees. They walked calmly.....until they caught our scent! Then it was if they had been jolted by an electric fence! The all ran off, en mass, away from us.....fortunately not the way they had come from, because a little farther on, Hans stopped rather abruptly and whispered "wildebeest!' I looked to my right where he was looking and saw several large forms in the brush, but none that I could positively distinguish. We slowly crept in, trying to keep as much cover between us and the wildebeest as possible, while making as little noise as possible.....not an easy feat. When we got to within about 90-100 yards, Hans said "There is a good bull in there; do you see him".....Heck, I was having trouble just making out the whole animal. They were peacefully grazing, and after a little difficulty and misunderstanding on my part, Hans had me on the correct animal. He told me to take him when I was ready, so I told him to get ready (so he could cover his ears) and I put the crosshairs on the bulls shoulder and squeezed the trigger of the .338. At the shot, I saw the bull go down and kick in the dirt, but then it got up and ran about 25 yards to the right....Hans said "Shoot him again! ", so I racked the bolt and took aim and squeezed the trigger, only the hear "CLICK".....a round didn't feed from the magazine!!! I opened the bolt and saw that the chamber was empty, so I grabbed a round from my ammo pouch and dropped it in the chamber and closed the bolt. I raised the rifle to take aim, but as I did the bull fell over and kicked a few times and didn't get up. We made our way over to the bull and made sure it was dead.....and then it was congratulations & picture time! My first African animal and it was one that I had highly admired throughout the years. I was impressed with the way that Jan prepped the area for photographs; cutting brush and hacking away tall grass to get a good photo.....and the photos turned out GREAT!!! We then placed the animal in the back of the truck and headed back to the lodge. I later recovered the 225 grain accubond bullet on the opposite side from which I had shot at the skinning shed....it had mushroomed nicely & balled up under the skin after taking out a lung and turning the liver to mush. I suppose the skinners thought I was a bit daft for poking through the gut piles to check on bullet performance. As it turns out, the reason my rifle didn't chamber a round is that the bullets of my hand loads weren't seated deep enough.......note to self: check for proper feeding from a FULL magazine of any hand loads prior to the next trip! I would use my .30-06 for the remainder of the trip. After coming back and telling my wife of my adventure, I had lunch and then Hans and I went back to the property we had hunted the previous day in search of gemsbok. We started on the same route we had hunted the day before, and quickly spotted two gemsbok in an area off the road (and no zebra this time!). They moved off to an open area with one green bush, one on the left and one on the right. Hans said that the one on the right was a nice mature animal, so I elected to shoot it. The range was about 200 yards and unfortunately I made a bad shot and hit the animal to far back. The two animals ran off and disappeared in the bush....Hans said that he thought I had hit it, and that it would probably cross the road on the other side (How does he know this stuff?). We got back in the vehicle and drove around to the road that we thought they would cross and got out and looked for signs that they had crossed. Hans found where they had crossed and we started across an open area to the woods across the way when I thought I spotted the animal bedded down just inside the tree line; Hans raised his binos and it was indeed the gemsbok. We backed off and waited to see if the animal would expire; when it was obvious that it wasn't going to quickly happen, we decided to try and stalk in from the downwind side. As we were walking in, Jan (who was watching from the road) informed us that the animal had gotten up and left....we quickly made our way to where it was laying and I found what I didn't want to find: grass mixed with blood....unmistakable evidence of a gut shot. My heart sank that I had made such a poor shot on such a magnificent animal, and I was hoping that we could quickly find it and dispatch it and end its suffering. Hans tracking skills were invaluable, because there wasn't anything in the way of a blood trail....we jumped the animal once and it didn't offer a shot.....we again followed and jumped it at about 20 yards, but there was a fair amount of brush between me and the animal and by the time I got a clear shot, the animal was running straight away and both shots didn't connect. We took up the trail again and quickly followed, and found the animal bedded down and unable to get up......I finally finished what I had started, still feeling bad about making such and awful shot. Hans said that it does happen, and the important thing is that we did find the animal, and for that I was glad.....I didn't want to leave an animal out in the bush to suffer. We again took time to get some good photos and took the animal back to the lodge, which wasn't that far away....it was about 4 pm when we got back, and I had plenty of time to clean up for supper. Two animals in one day!!! What a great trip so far! That night Hans said we would be hunting some distant property, called "the mountain property", that was a fair distance way, so we would be leaving about 05:30. We would be hunting kudu and impala. After breakfast we left and drove off through the darkness to what I hoped would be my next adventure. We met the landowner, a big jovial fellow, who appeared just as interested in my hunt as I was......after he and Hans talked for a while we drove back to the property and started hunting. It was cold and windy, and Hans said the wind might make hunting difficult. We saw some impala, a few cow kudu, and some baboons....but no kudu bulls. We got out and walked about, but didn't come up with much....we found a few more kudu cows, and some impala, but no bulls. ....and that's when I found out why they call it "the mountain property"!! We started climbing, and climbing......and climbing. For a flat lander as myself, it was a bit of a physical challenge, and I was particularly glad that I had shed 35 lbs. prior to the trip at that point. Hans said we would go up to the top and check for kudu below.......I asked him what about shooting an animal this high up, and he said that they usually ran down hill when shot. We walked quite a bit without seeing anything. We stopped at a few points so Hans could glass the ground below (and I could catch my breath!) and then we would move on. We got to an area where the mountain curved around, dipped a bit, and then joined another ridge across the way from us. We stopped and glassed the area below and saw 3-4 kudu cows, some cattle, and some impala. All the sudden Hans got excited and said "There’s a kudu bull!!!" I looked where he was looking and saw nothing.......he pointed it out to me and I STILL saw nothing! He took my rifle and pointed it in the general direction, and after a few moments I found the bull in the scope.....he was standing in a small bald spot on the other ridge. The range looked in excess of 400 yards to me, but Hans took out his range finder and verified that it was about 250 yards away. I knew what the bullet drop was on my 06 at that range, and aimed for the top of his back (Hans suggested this also). I didn't want to take too much time, but I didn't want to make a bad shot as I had with the gemsbok, either. I was shooting off the sticks and slowly squeezed the trigger. At the shot, the kudu swapped ends and ran.....UP the hill!! Apparently, he didn't get the memo that he was supposed to run DOWNHILL when shot. He disappeared in the brush, and shortly after I heard a thud. I hoped that meant a dead kudu. Hans made his way over to the general area, and I directed him from where I was to a bald spot with hand signals. He disappeared in the brush in the direction that the kudu went, and quickly came back and called me over......I was hoping that it wasn't for a tracking and finishing off job. It took me a while to get to the spot where Hans was, and when I finally got to him I asked "Do we have a kudu?" He just smiled and said "You have a kudu!" The bull ran about 90-100 yards from where it was shot and within a circle of rocks about half the size of my SUV. The 200 grain partition took out both lungs, and went clear through the animal. Fortunately, I wasn't planning on doing a head mount on the kudu; just the horns. Good thing, as this animal WASN'T coming out in one piece as the others had. Hans and Jon cut off the head and feet, dressed the animal, then cut it in half, and we started downhill (after taking some photos, of course). I took the head and my rifle down and Hans and Jan struggled with the two halves of the bull over the slippery, rocky terrain. I was never so glad to see a valley as I was that day. We loaded the parts into the safari vehicle, took a break for some sodas, and then headed to the farm house to hang the carcass. As we were driving out, I thought I saw a nice impala ram, so I informed Hans. We stopped and went back to check, and it was indeed a good ram. We started a stalk, and moved to an area where there it was open and would give us an opportunity for a shot. The ram came through and stopped, but Hans was unsure if it was the one we wanted or a different one. The ram didn't hang around long and disappeared into the brush. It was then that Hans realized that that particular ram was the one we were after......Oh, well, that's hunting.....and there was plenty of time and there would be more opportunities. We took the kudu back to the farm and hung it, and I got a chance to meet and talk with the landowner's mother for a bit. We then headed out and had lunch in the bush. While driving out, we saw some impala in an open area, and as it wasn't too far from where we ate lunch, we decided to try and give it a stalk. Hans could see them with his binos, but there was a cow kudu between us and them, so we had to back off, and come in from a different angle. This stalk seemed to go perfectly, as we got to within 100 yards of the group of impala in the field without being spotted or winded, and set up on the sticks. The impala were walking from one side of the field to the other. Once it was determined that Hans and I were indeed talking about the same animal, I waited for it to present itself in the shooting lane that we had set up on. It walked through once without stopping, so we moved over slightly for another chance, but it kept on going, but then turned and came back. We just waited and as if scripted, he walked into the shooting lane and stopped, broadside, at 100 yards. After making double sure that we were looking at the same animal, I flicked off the safety and took aim just behind the shoulder where the two shades of brown blended together and squeezed the trigger. At the shot all I saw were impala running everywhere, and then they were gone..... I thought I had missed, as I didn't see the ram go down, but Hans told me he went right down, and looking through the scope I was able to just make out the last few twitches of its tail. We went up and got some photos, then went back and got the kudu and stopped to talk with the landowner, who was genuinely pleased with my success. We headed back to camp and I told my wife the stories about my day. The other hunters in camp had success stories as well, and they were shared at dinner and afterwards at the bar as well. I was at the third day of my hunt, and had collected all 4 of the animals I had come to hunt. The next day I spent some time with my wife and we did a side trip to the Waterberg Elephant park and did an elephant back safari; a totally awesome experience to view and touch these animals first hand and see Africa from a bit of a different perspective: from the back of a moving elephant! We saw wildebeest, zebra, warthog, hippo, and impala. My wife had gone to Marakele National park and the Predator Park and saw and photographed rhino, hyena, lion, leopard, cheetah, serval, jackal, and a host of other animals. The next couple of days we (my wife and I) spent touring some of Pieter's properties and taking photos of the various plains game, including a female that thought we were paparazzi and came out of the bush and "posed" on the road for us for quite some time. We also saw a caracal, which didn't give us a chance to photograph it, but it was a thrill just to be able to see one. The only animal I hadn't collected yet that I wanted to take was a jackal, so the next day Hans, my wife, and I headed out to a property were we might find one. It was again windy, so our chances were diminished, but we did see some waterbuck, monkeys, various birds, blesbok, hartebeest, and my very first bushbuck! The last day we were going to try one last time for a jackal, but Pieter made the offer of a cow waterbuck, and I jumped on that like a duck on a June bug! We headed out on my last day with high expectations for a jackal and a cow waterbuck.....and we weren't disappointed. Not far from where we saw the jackal the first day, we saw a jackal run across a road just as we were entering the property; Hans said that it would probably make its way through the brush and cross another road that came off at an angle. It did, but it was too quick for us to set up the shooting sticks, so I had to shoot off of Hans shoulder. The jackal didn't give me much opportunity, and I squeezed the trigger just as it was heading into the brush on the other side of the road; it swapped directions and headed back into the brush the way it had come. Hans and I went back to the road were we originally had seen it cross, hoping it would come through that way. We set up the sticks and waited, and waited, and waited.....Hans had Jon drive down the road were we had taken the shot on, hoping to maybe push it out to where we had originally seen it, but this jackal was too crafty and made it's escape. So we were now on the quest for a cow waterbuck. We drove and found a few smaller cows, but we were after a large, mature animal. At a couple of points, we found a group with mature, large animals, but either they took off and didn't give us the opportunity for stalk, or we started a stalk and were quickly busted by one of the smaller animals. We were working in on a group and one point when, low and behold, a group of ZEBRA came running through and took the waterbuck with them.......why am I NOT surprised! We were walking down one of the roads when Hans spotted some waterbuck about 100 yards away in some thick brush. There was a large cow with them, and there was an opening offering a shot if she would just take a few more steps. We set up the sticks and waited; the cow took some steps forward, but didn't appear in the opening....she just seemed to vanish. Hans thought she might have turned and went back into the brush, so we called Jon to bring up the truck and we drove past the spot where we had last seen the cow. I think we were both kind of surprised to find that the cow was still there, but she had bedded down, right behind the large collection of brush where we had last seen her. As we drove by, she stood up and ran into the brush; we circled around to the backside of the bush and they were still all there....they hadn't broke and run from the cover. We seemed to play this game of cat and mouse; they would work their way to the backside of the cover, and we would circle around, and they would more back to where they were before. Finally, we got a break, and the large cow appeared back in the brush about 70 yards away, but with her side exposed, so I put the cross hairs on her chest and squeezed off a round. At the shot, I saw her buck and jump into the brush and disappear. Hans went into the brush and made his way to where she was standing where I shot, and I was right behind him. When we got to the spot, he stopped and pointed....."She's right there". She had dropped not more than a few paces from where I shot her (and that's the kind of tracking job I like!). We got some photos and got the vehicle back there and loaded her up and took her back to the lodge. Later that evening, we went back and sat on a waterhole and tried one last time for a jackal....but it wasn't to be. We heard them howling, and Hans felt that we were going to get a shot at one, but as the light slowly disappeared, and nothing appeared, it became evident that I was going to have to wait for my next trip to bring back a jackal flat skin. While the howling continued off and on, it didn't vary from the spot that we originally heard it, so Hans figured that they were probably already feeding on a kill. My wife and I had more than just a great trip; we had an AWESOME experience.......I guess you could say (at least in my case), it was almost religious, or at least spiritual. I can't wait to come back and do it all again, and maybe at that time I'll get my jackal (and one of those crazy zebras). (Jon): Well, better late than never. It’s been 11 months since Jim and I hunted with Cruisers so it’s high time this went out. South Africa isn’t new. My wife and I lived in rural SA in the 1970s for the first three years of our marriage. My current job has allowed me to travel there frequently for work. Much has changed in almost 40 years yet much has not. So while SA is familiar and has many great memories, Cruisers showed me that you can always learn something new. My friend Jim and I have hunted and fished together for a long time. After many years of patiently listening to Africa stories he finally said “We’ve got to hunt there!” Then after much research (mostly Jim’s) we booked with Cruiser. While expecting an enjoyable trip, I was entirely unprepared for the great experience we had. Marius, a friendly and savvy guy who clearly spends much time dealing with wide-eyed overseas visitors (“uitlanders” in Afrikaans) met us at Tambo and got everyone through gun check-in. The SA Police officers were polite and professional. Visitors who are also polite, patient and who fill out their paperwork correctly can expect similar treatment. We overnighted at nearby Afton Guest House, a friendly, clean, quiet place with good food. Riding over in the van we met Brad and Dena from Texas and Fred and Debbie from Michigan who we’d hunt with that week. Wonderful group. By the end of our week I was half convinced Brad and Dena were going to adopt Sarel, their PH. Arriving at Cruisers early the next afternoon we’re greeted by Del Marie. Some people would call her “the cook,” which doesn’t really describe her. More like Wizard. She’s inspired, works hard and long hours to please clients. She has a great sense of humor. Del Marie cooks game better than………………anyone! Later we’re greeted by Pieter. Someone (Jim) told him I’d lived in SA so Pieter immediately fires off a question in Afrikaans. I understood him and answered, but wasn’t about to translate what he said, in mixed company, to several people I’d just met. But it was a very typical SA challenge meant to make me feel at home. Pieter succeeded. As Jim said in his write up, “Pieter is a jokester,” (“n’ heeltemaal skelm” in Afrikaans). Day 1, impala: MC is my PH for the week and Samuel our Tracker. Early on MC spots a nice impala. As we dismount the Land Cruiser the impala takes off like smoke. We walk out into thick bushveld and spend an hour with many eyes on us. Mostly I can’t see beyond 30 meters. We eventually arrive at an ‘open’ spot (2 meter wide lane 80 meters out) and MC says “Nice rooibok (impala) behind that tree, set up the sticks.” I just see legs. MC says “There are two of them. Shoot the mature one nearer us.” I STILL just see legs. But he’s the PH so I get on the sticks and we wait. About 3 minutes later in human time (3 hours hunter time) the impala steps out and I shoot. For a Southern whitetail hunter, what’s next is different. After shooting you expect the animal to fall, or run and fall, but usually to HEAR him fall. It seemed a good shot. Ruark said African animals are tough, but I don’t remember him mentioning that all heck breaks loose when you shoot. Many other previously unseen animals also explode from the bush, running in all directions, so there’s no telling where mine went. It was only about 15 m. When MC gets to him he starts dancing around, and says “this is a really NICE rooibok!” It was. Day 1 takeaways: MC knows his stuff and sees through trees, which are good job skills for a PH. He dances well. Day 2, kudu. Today’s a little like hunting in South Alabama (other than the lack of kudu there). Walking along a beautiful river bottom MC sees a bull on the far bank a long way off. We start crossing the “river.” Since wintertime is the dry season there’s lots of riverbed but just a sliver of river. We cross 200 meters of sand bottom, 10 m of ankle deep “river,” then another 50 m of sand, completely in the open. On the other side I set up the sticks for the bull that’s above us on the second bottom. Suddenly a bunch of cows and a larger bull burst out of nowhere further downriver and start to cross, quartering away at a trot (of course). MC says “Go for that bull instead. Relax and shoot.” Apparently what I heard was “Shoot and relax.” This was my fault as MC speaks better English than most Americans. I hit the bull who was about 175 m out, but not well. Although he’s almost on the other side of the river, for reasons only the kudu understands he runs back towards our side. He stops on the second bottom and offers another chance. Two shots later he goes down for good. When we get to him MC says “this is a good, mature kudu” and again it’s a beautiful trophy. MC dances. Take aways: (1) kudu are humbling, (2) when your PH says relax and shoot, do it in that order, (3) if South Africa Broadcasting Corporation has a local version of “So You Think You Can Dance?” we have a contender here. Seriously, I continue to be impressed. Day 3, warthog: We start for gemsbok, see several, do a couple stalks and get busted by shifting wind. But a great morning, regardless. At midday it’s warm and MC suggests trying for warthog. He, Samuel and I start by assembling a thorn bush blind near a waterhole. When we finished, Samuel leaves us and goes on an adventure that was later broadcast over the radio to everyone in range. Although I’m certain his exploit will be retold locally for years to come, that’s another story (“Hy is in die bos!”) After sitting in the blind for a couple hours, just as MC and I are tucking into the tasty lunch Del Marie prepared, a nice warthog trots up to the waterhole. MC again says “Relax and shoot,” which I do it in the right order this time. The warthog goes down quick, but tough as pigs are I ask if a follow up is needed. MC says no. So after finishing a perfect hardboiled egg, I say “Okay let’s go see.” For some reason MC finds this incredibly funny. Again a nice animal. Again, MC dances. Day 4, gemsbok: We see several early on but like yesterday get busted by the wind. Late morning MC bangs on the roof of the Land Cruiser for Samuel to stop and says “there’s a gemsbok on that hill.” I see impala, blesbok, zebra, wildebeest, hartebeest and assorted other critters strung out all over but no gemsbok. I ask where and he replies “Over there, on the side of the hill.” Finally, with my binoculars, I see a gemsbok maybe a kilometer off who’s mostly behind a big thorn bush. It must be great to still have young eyes. After an hour of walking slowly enough not to spook anyone, we’ve closed to about 300 m. MC says “The good news is it’s a nice gemsbok. But there’s still lots of game between us so we must step very carefully.” When we get about 100 m out the gemsbok is lying down directly facing us. MC says “You could try with him lying down but let’s wait a bit.” After maybe 10 minutes (hours), the gemsbok gets up, turns 180 degrees and walks completely behind the thorn bush. MC again says wait and after a few minutes the gemsbok again turns and faces us. I shoot and he falls in place. This is really a fantastic bull. MC dances but this time so do I. So does Samuel when he arrives with the Land Cruiser. They dance better. Day 5, blesbok. We stalk several groups of blesbok, get within 350 m, get busted, find another group, get busted but a minute doesn’t go by when we don’t see game. All day we’re constantly in sight of blesbok, zebra, impala, hartebeest, wildebeest and even some Sables. No shots are taken but it’s a great day and I receive a memorable lesson in open country still hunting. Day 6, blesbok: We go to the same place as yesterday. The morning starts out cold but you can feel the veld about to burst into springtime. Things happen fast. We start out walking through a drain when MC spots a herd of blesbok about 400 meters way out in the open. As we leave the drain a second group, much closer, comes grazing up from the left. We ease up behind an acacia and MC says to get on the sticks. He’s looking for the shooter. Then he points and says “I think that one, but wait.” After a closer look he confirms and says that’s the one. I connect, the blesbok takes off and falls nearby. This is an amazing blesbok. It’s just 8:15 in the morning. Everybody dances. Day 6 again, Thabazimbi: After returning to camp PW (Jim’s PH), Jim and I drive to nearby Thabazimbi. Shopping in a small African town isn’t a new to me but can be a lot of fun. Today is no exception. Del Marie had given PW a long, long shopping list, charging him with provisioning 8 Americans plus the incoming hunters for the following week. Apparently we eat and drink a LOT. When we leave Thabazimbi several hours later the Land Cruiser is chock full. The pickup bed, the interior seats, the open air back seats and every inch of interior space is crammed. The three of us have grocery bags on our laps. This is an issue for PW because the truck has a manual transmission. The return trip is slower, especially going uphill. Cruiser Safaris is run and staffed by folks who are professional, genuine and lots of fun. They offer an experience any hunter will find challenging and enjoy. Despite having spent a significant part of my life in this beautiful country, Cruisers offered an entirely new experience. If you haven’t been to SA before, seriously consider spending extra time there. Being literally at the end of the world, getting there involves a long and expensive flight. Make the most of it. Once you’re in South Africa it’s easy and inexpensive to travel in-country by road or air. There’s no end of beautiful places to visit, even on a modest budget, if you’re willing to do some of your own research. Kruger National Park and the other national and provincial parks are among the world’s best travel bargains. South Africans are friendly and fun. Finally, in contrast to much of the world (most of South America, Asia, Russia and Eastern Europe) the tap water is safe to drink and the food is safe to eat. (Jim) My friend Jon and I arrived in Jo’burg on Monday August 4. We spent the night at the Afton House, which was very comfortable. They are very skilled in the safe and secure handling of firearms – kept in a vault. The barbecue and breakfast were both quite good. PH Sorel picked us up the next morning for the 4.5 hour drive to the hunting lodge. Several hours into the trip, Sorel felt some vibration in the steering wheel and thought there might be something wrong with the vehicle; we stopped to look, but there were no obvious problems. The remainder of the trip was uneventful but after arriving at camp we found out that there had been an earthquake; this appears to have been the source of the vibration in the vehicle. Interesting. After arriving at camp, we all relaxed a bit and made sure our rifles were still sighted in after being manhandled by the airlines – all turned out well. That evening I got my first clue that Pieter is quite a jokester as he jumped out from behind the bar as I went to grab a beer. On the first day of the hunt, PH P.W., tracker Karl, and I went looking for Gemsbok. We saw plenty of game including Gemsbok, warthog, giraffe, red hartebeest, blue wildebeest, Impala, and Waterbuck. Right after lunch we saw group of Gemsbok and zebra that included a very large Gemsbok. Unfortunately, they saw us as well and took off for places unknown. Later in the afternoon we attempted several stalks with no success; the swirling wind made it very challenging. On the second day, we continued our search for a shooter Gemsbok. Around mid-morning, we saw a group of Gemsbok back in the bush. The wind wasn’t right for a stalk so we drove around to get down wind of them. P.W. and I started to stalk through the bush and we came across a group of six giraffes. Fortunately they did not spook and we were able to work our way around them. Shortly after that, we did spook a large Eland that lumbered off in the direction of the group of Gemsbok; so much for that stalk. We saw no other shooter Gemsbok in the morning and took a lunch break at a water hole. After eating lunch, P.W. and Karl sat back to relax a bit while I did a little wandering with my binoculars and camera. I made my way over to a road along the property line where I spotted a Gemsbok about 3/4 of a mile away. I trotted back to the water hole and told P.W. what I saw. We grabbed my rifle and shooting sticks and headed out. We made our way down along the woods line and got within about 250 yards of the Gemsbok which kept moving from the road, into the bush, and back into the road again. It never moved more than a body-length or so into the road. P.W. and I slipped into the road when the Gemsbok was in the bush and got down in the prone position. When the Gemsbok came back into the road and offered a shot, I took it. The Gemsbok did a back flip, got up, fell down again and then got up and took off running. Karl tracked the animal for quite a distance when the sign led us to a big bush. As we were looking at the sign to determine which way the animal went, the Gemsbok suddenly jumped up from behind the bush and started running away. I quickly backed several steps away from P.W. and Karl, threw the gun up and took a shot that dropped the animal about 25 yards away. I was very impressed with Karl’s tracking ability. On day 3, we went looking for Kudu and did not see much of anything in the morning. Around 5:00, we saw a Blesbok in the open grass about a half mile away. We slipped into the bush and went down about half a mile. When we got there, there was a small herd of Blesbok in the open grass about 400 yards away. There were a few scattered bushes out in the opening so P.W. and I crawled on our hands and knees for about 20 minutes and finally got to within 200 yards of the animals. As P.W. and I knelt there, I rested the rifle on his shoulder and took the shot. The Blesbok ran about 15 yards and dropped. That was fun. The next day, we continued our search for a Kudu again. We saw four immature Kudu and one that had 50 inch horns that were asymmetrical – not worth stalking. On day 5, we traveled to the mountain property to continue our search for a Kudu. Since P.W. had not been to this property before, Hans accompanied us. We started off by climbing up a steep hillside to scope the area below and the side slope of the adjacent hillside. We only saw a few Kudu cows. After returning to the truck, we started easing down the road when P.W. and Hans saw what they estimated to be a 47-48 inch Kudu up on a hillside about 250 yards away. I knew that at that distance, I needed to aim near the top of the kudu’s back. Having taken so much time setting up for the shot, I became concerned that the Kudu would not hang around much longer so I started to rush things a little and with excitement that comes along with my first opportunity to shoot the grey ghost of Africa, I forgot about aiming high to allow for the distance. At the shot, the Kudu took off in a hurry. P.W. said he saw a puff of dust appear under the Kudu after the shot. After checking the spot where the kudu was standing, P.W. confirmed the miss. With his dry sense of humor, he added “at least your windage was good”. I breathed a big sigh of relief knowing that it was a clean miss rather than a poor hit. Needless to say, my confidence was a little shaken. Later in the morning, Hans saw a solitary male Impala and we made a stalk. We got within 70 yards or so and I dropped him with a shot to the shoulder from the shooting sticks. With about 15 minutes of shooting light left, we saw a mature Kudu bull about 80 yards from the truck. I was able to get good rest and drop him with a shot to the shoulder. What a beautiful animal! The next day, my friend Jon added a Blesbok to his package and was able to shoot it early in the day (18+ inch horns!). He got back in time to accompany me and P.W. into Thabazimbi to pick up supplies for the camp and do a little curio shopping. That evening Pieter had a barbecue down by the river for us. His wife, son, and two daughters were in attendance. Pieter’s 3-year-old daughter appears to be a jokester-in-training (must be in the genes). During dinner, she went under the table and started to tug at people’s pant legs. I gave her fair warning that she would be sorry if she persisted, but she would not relent. Consequently, I slipped under the table and routed her out and wrestled her onto a blanket where her sister was playing. Based on her reaction, I do not think that that had ever happened to her before. BTW, the meal Del Marie prepared was outstanding. On the seventh and last day, Jon and I went for a walk in the bush with P.W. Jon carried his rifle in case he saw a good impala while I carried my camera. No shooter impala, but it was a good day nevertheless. In summary, everything about this adventure with Cruiser Safaris exceeded my expectations. I really enjoyed spending time with my fellow hunters, Jon, Brad, and Fred. Brad and Fred’s wives, Dena and Debbie, respectively, are delightful people. Pieter, his son Christian, daughters, Amy, all of the PHs, the cook Del Marie and the rest of the staff were very cordial. The properties and quality and quantity of game are outstanding. I still find it hard to believe that I was able to harvest such nice animals. I’m looking forward to returning in 2016. First off, I wanted to share some general information. This was our first hunting safari and trip to South Africa. I am sure most people are a bit like me and my wife – not completely sure what to expect heading into such an adventure. Read all the materials that Bob sends you – you will be better than well prepared (if there is such a thing). I cannot tell you how smooth our trip was including getting the rifles sorted. Afton House helps tremendously too in Johannesburg. Each person in our hunting group spent over a year looking at the internet and doing our research so use all the resources of the website. It is very accurate and not “fluffy”. By the way, I want to personally thank Jim, Jon, Fred and Debbie for helping make our week such a thrill. Can’t think of better people to spend a week in hunting camp with – we all met the first time the night at Afton House. They are all great people. As for the hunting, first off Cruiser has quality animals but do not think this is a cake walk. We saw lots of animals but getting close was a different challenge. My wife came along and she is definitely a non-hunter yet went on ever hunt with me and about ½ the stalks. Sarel, our PH, made her feel right at home and a complete part of everything we did. I appreciate how everyone made her feel – not at all like a bother or 3rd wheel. She had a blast sitting in the back of the truck pointing out all the animals I missed. Sarel – I cannot say enough about how fun he made our week and how within a day my wife and I both felt like we had known him for a long time and we were hunting with a friend. He will be that friend to us from now on. I certainly can’t remember the last time I laughed so much. And for the avoidance of doubt he even knows what the heck he is doing from calming you down the first look at an African animal to feeling right about the trophy and the shot. We enjoyed laughing and cutting up with the other PH’s every night around the fire. Pieter is a practical joker so be aware. Del Marie knocks it out of the park every day and night and we really enjoyed eating what we harvested. Great to sample the different game and enjoyed the variety. Just to illustrate the talents of Sarel, I added a Wildebeest to my package hunt. What a magnificent animal that I have a significant amount of respect for after our success. Not to bore you with hunt details but it was very windy this particular day so the animals were in the thick stuff. We decided to take a walk without seeing a specific animal. After an hour of walking Sarel gives me the stop sign and then points to a Wildebeest 130 yds. away in a clearing scratching its head on a tree. He says it is a monster (code for get ready). What I was amazed about was Sarel had tracked that animal for the last hour and I had no clue. The rest is history as you can see by the photo. Met at the airport, helped through police permits then on my way to Afton guest house. Next morning picked up by P.H. [professional hunter] MC for the road trip north. Welcomed at Cruiser by Del Maree [the chef] with a cold fruit juice. Settled in, than over to the range to sight my .300 Win. Mag, all OK there. First hunt day; hunted the Over the road block; Cat and mouse games with Red Hartebeest all morning constantly busted by Impala, also hunted Blesbok but could not get within 350 meters. After lunch more stalks on Hartebeest than late afternoon shot a very nice 17 inch Blesbok. Really enjoyed a great first day hunting with PH Hans. Day two; Drove north ten minutes onto another concession, Hans spotted a big heard of Hartebeest so drove past 1 km than out and started stalking back, getting close then busted by Impala, backed out than in another direction to be stopped by two Warthog, backed out and tried again but busted again so retreated to the river to hunt Waterbuck. We slowly hunted the river for an hour, saw one small Waterbuck bull, a very big Kudu bull and lots of Warthog. Then drove lots of bush tracks looking for Waterbuck tracks. Stalked a lot of very thick bushveld [thorn bush].Busted by Impala that took a Waterbuck bull and some Eland with them. Had lunch at a water hole in a makeshift blind, shot a big Warthog as he came in to drink. Headed back to the skinning shed, caught a glimpse of a Waterbuck on the way but could not see his horns. Back mid-afternoon, parked 2 km away and stalked into the area, found Waterbuck females so sat on them for half an hour, no bull, so backed out and started a slow circle around them. Busted! He was standing in some thick scrub watching us just like a Sambar stag. Up with the .300 onto the sticks but we could not assess his horns until he ran. He was a monster, Hans tracked him for half an hour, he saw us first and ran again, we tracked him again for another half an hour than Hans finally said see that patch of gray in the thick thorn bush 200 meters ahead, shoot that! So I did and shot a trophy of a lifetime, 32 inches, I was over the moon. Day three; Back to the same block I shot my Waterbuck to hunt Hartebeest again. Busted by Impala three times until we pushed the Hartebeest out of the area. Then started looking for Steenbok. Had lunch in the bush than hunted for Steenbok again. Late afternoon shot a very nice 4 inch Steenbok. End of day three of a ten day hunt and I had four animals in the salt and only Kudu and Hartebeest left on my list. I should slow up a bit, but having too good a time. Day four; Left the lodge 5-30 AM and drove north for an hour or more to hunt Kudu. I was the first hunter to hunt this unfenced concession all year. Shortly after entering the property we saw two Klipspringer, great to see as they are on my list for next time. Than saw two Kudu bulls, but not quite big enough. Half an hour latter saw four more big Kudu bulls. Parked 1 km past them and stalked back. Found them away in some thick stuff, got within 30 meters, had the cross hairs on a big bull but Hans could not see his horns and we were not game to move. We thought they winded us and moved off, so we started a slow circle around where they were but could not find their tracks. We went back to the Toyota and drove for an hour looking over new country, than parked and started hunting through thick thorn bush, Hans said we might get lucky. After an hour of slow stalking we could hear sticks breaking so sat down and watched as some Baboons fed past us. Another 20 min they were far enough away we could continue on, and then we heard the sticks breaking again so crawled forward to find it was the same Kudu. We could only see two of them so watched for a while until they fed through a small gap in the thorn bush. I shot the biggest of the two. He went 100 meters on autopilot, easy tracking and there he was all 53 and a half inches of him. Back at the lodge 2.30 pm with another day in paradise. Day five; Hunted for Hartebeest again. Saw a big heard with a nice bull but they saw us first, game over. Saw lots of Eland, Blesbok and Impala. Later in the day we saw what we thought could have been a Hartebeest so stalked in a bit closer then hid in some thorn bush. Slowly one bull fed out but Hans thought he was not quite mature. So we watched for some time and then a second bull came into view. He was a good old bull so I took the shot. Big 22 inch, could not get any better could it? The next few days I filmed and photographed mornings on waterholes than drove late afternoons hoping for a shot at a Jackal or Gray Duiker. Hans spotted something of interest so glassed for a while then turned to me and said, Neville you should shoot that! It is a very big Gemsbok female, I said how big and he answered 39 to 40 maybe even bigger, than he said no, no, it’s not a female it’s a bull. All I could see was the tops of its javelin type horns moving as it fed. We stalked in a little closer until I could get a clear shot. At the shot he dropped on the spot out of sight so I ran forward chambering another round until I could see he was down for the count. Hans looked at him and said Neville you don’t know what you have just done. Hans than produced a tape out of his pocket and I helped hold it on the top of the rings on the horns and watched as the numbers climbed. The tape read 44 inches, we just stared at each other in disbelief. A 44 inch Gemsbok BULL! The biggest bull ever shot at Cruiser Safaris and way up there in the S.C.I. [safari club international] record books. All on a day where I was looking for a 4 inch Gray Duiker or a Jackal. All too soon my stay at Cruiser came to an end. My parting words to Pieter [owner] were: There are simply not enough words in the English language to describe how happy I am, I will be back. Anyone that has ever dreamed of an exotic hunt should check out www.cruisersafaris.com You will be shocked how reasonable the cost is for an eight or ten day package, cheaper than a hunt in Northern Australia and probably safer. (Tony) This is our third trip with Cruisers, and our second with Fred and Kandi. It was great seeing all our old friends and meeting new ones. Pieter and Lizelle run a fantastic operation. As far as the hunting goes I don’t know how it could get any better. If I had to rank the animals I took this time, my favorite would be the Buffalo, followed by the Giraffe, Gemsbok, Warthog, and Waterbuck cow. Sarel was able to get the Buffalo stalk on video by putting his Go Pro camera on Munsu’s hat. PW was able to video the last part of my giraffe hunt for me. Thanks guys. It amazed me that a 19 foot tall animal could just disappear in an instant. It took about 3 hours of stalking after we first found the group of giraffe until we could get close enough for a shot. In addition to hunting Sarel took Loretta and me to Pilanesberg National Park for a day. What a great day. We saw lots of animals including three of the big five. It is nice having your own personal guide to show you around. Pieter and Lizelle really go out of their way to make the trip great. For example, taking Loretta and myself along with them to tag and microchip a newborn Sable calf. How many people in the world have held a baby Sable calf, Loretta has. The new picnic location beside the river is out of this world. Delmarie and Amy did a great job on the meal and desert for the evening meal. As always the food and service provided by the staff could not be better. I don’t know how they do it but every time with Cruisers is better than the last. I would, and have recommend Cruisers to anyone looking for a plains game hunt in Africa. The other hunters in the camp with us are great guys. Both Roger and Neville took some good trophies. I think Neville has to be one of the luckiest guys I have ever had the pleasure of being around. It was hard to leave but it will be good to go back. (Brian) I did some research on the internet and Cruiser Safaris seemed to be a place where everyone was happy with their trip. So I took the plunge and booked for myself and three friends. We decided on the 10 day Millennium package. It turned out to be the best hunting adventure we've ever had. Here is a condensed version of my hunt. Day 1 My PH Hans and I hunted Gemsbok all day. It was hard getting a stalk on one because the Blesbok and Gemsbok were herded up together. Too many eyes watching every move we made. Finally in the late afternoon a Blesbok stepped out onto the road about 80yds ahead of us. Hans threw up the sticks and I made a quick shot. The Blesbok ran about 40yds and piled up in the road. That made for an easy lift into the truck. He was a beauty with 17 1/2" horns. Day 2 Decided to try for a Gemsbok again. We stalked them all day with no chances on harvesting a mature animal. At the end of the day we walked out to the road and called for the truck to come get us. While we waited for the truck we walked to a cross road just to have a look. Not a 100yds down the road was a shooter Gemsbok eating grass. The sticks went up again and I shot before Hans had a chance to cover his ears. The Gemsbok went down in his tracks right beside the road. This made for easy loading again. Once the pictures were done we started to work our way back to camp. 300yds down the road and Hans spotted a big Warthog. The truck came to a stop and I took a quick 100yd shot. Warthog down. He so ugly he's beautiful. Day 2 done. Day 3 We got up at 5:30am to head out to a mountain property that Hans likes to hunt for Kudu and Impala. We walked along the edge of a mountain and glassed the valley below for Kudu. To our surprise a Kudu appeared above us. A quick stalk up the rocky hillside and I was within 50yds of him. Up went the sticks and I held the 30 06 on his shoulder and squeezed the trigger, Bam, down he went. A beautiful Kudu. That's when the work began. It took 4 1/2 hours to cape, quarter and carry him down 300ft of mountain. Then we had to cut a trail to get the truck close enough for loading. Day 4 We went to a neighboring property for Impala. I was able to harvest a nice Impala in the morning. We saw another Impala that Hans said was a real trophy but we couldn't get the shot. In the afternoon we went back to the same property for a Wildebeest. We found a herd and started the stalk. They knew something was up so they moved into an open field and stood looking in all directions. The bull I was after stared us down. We were kneeling down in the shade of a tree. I had my gun on the sticks and my trigger arm rested on Hans's shoulder for over an hour as we waited for the bull to move two steps forward. My legs were numb and my arm was falling asleep but the bull finally decided to move. I got a nice quartering to shot and he was down with in 75yds. Day 5 It was a windy day and all the animals were nervous. We set out to find a Zebra. The Zebra were herded up with Blesbok, Impala and Eland. It took us 6 hrs. to spot and stalk my Zebra. I got a 100yd shot on a beautiful mare. By far the hardest hunt I've had. These animals don't stand still when it's windy. They are very nervous and on high alert. And when they say that every tree and bush has thorns they aren't kidding. Be careful when crawling, the thorns hurt. Day 6 We went to a new property across the river to find a Red Hartebeest. It was a calm and cool morning and we found the Gemsbok and Hartebeest herded up together. I was able to get a nice shot, 225yds, on a mature Hartebeest and we were back in camp by 10 am. Time to relax. Day 7 I did nothing. Relaxed around camp and went with Pieter to feed his Sables. Day 8 I have shot everything I came for so I decided to try and get the big Impala that we saw earlier. Hans and I went back to the property and searched all morning. We were about to give up and go back for lunch when we saw 4 Impala across the dry river bed. Hans took a look with his binos and said he's the one on the left. Get ready and take him. Lucky for me they ran towards us and the one we were after stopped in an opening to have a look back at us. Wrong decision for him. I let the 30 06 go and he dropped within 25yds. He is a beautiful specimen with tips that splay out. Day 9 My friend Ted was still looking for his Kudu so I went with him and Hans back to the mountain property. A beautiful Kudu appeared 80 yds. above us on the hill. Ted took a great shot and his Kudu was down. We were back on the road heading home by 8:30am. Day 10 We all went for the day to Pilanesberg National Park. Absolutely beautiful. We saw Hippos, Rhinos and Elephant. We ate at a restaurant where we could watch the Wildebeest, Warthogs, Zebra and Giraffes all within 100 ft. of our table. Day 11 Time to go home. But first a stop at Highveld Taxidermy. Talk about a first class taxidermy shop. I've never seen so many mounts in one place. They had an Ostrich mount that was being finished. Every feather was removed. They have a lady that puts every feather back on by hand when the mount is ready. I couldn't believe it. This trip was my first trip to Africa and it did not fall short of the extremely high hopes I had for it. Cruiser Safari is made up of great people, great property and great animals that made for an extremely memorable trip. After missing a perfect opportunity on a Zebra on Day 1, PW and I were out early in the morning of Day 4 looking for redemption (and a chance to salvage some pride). We made it to a neighboring property a little before 7:00 and started a slow drive spotting for Zebra. After about 10-15 minutes we (I use that word very loosely) spotted movement on the left off the road in the bush. We dismounted, glassed and confirmed Zebra. Wind was in our favor - for once. A very slow stalk through some very tall grass brought us to within 100 yards. Wind stayed steady. "Zebra behind shrubs, see it?" I lied and said "yes." Waited... Waited some more for him to move. Oh...now I see him. Waited... The thought actually ran through my head at that exact moment that 5 minutes from now I will be extremely happy or extremely disappointed. Our luck holds and the Zebra steps out giving a perfect broadside target. PW puts the rifle on his left shoulder for me to use him as a set of human shooting sticks (they don't really let you practice that shot in the US). We rise up out of the grass, still on our knees, as a team. Press the trigger...hit the Zebra on the shoulder but a little low. He stumbles and turns towards us as the rest of the herd runs away from us. Zebra is now behind another shrub. I put a second shot through the brush that is partly deflected but nevertheless hits him in the chest (I won't go into detail where the exit wound was, but you can Google the word "gelding" if curious). Zebra down. Definitely not the way I envisioned taking it, but easily the most memorable especially after the first day miss. Our stay at the Afton House in Gauteng was a splendid experience but we had to leave early the next morning, Sept. 26, and drive 4 hours to our destination, Cruiser Safaris. Along the way we stopped several times to pick up refreshments and marveled at the changing landscape as we were heading north east into the province of Limpopo. We arrived at Cruisers around 2 p.m. and were immediately greeted by our chef, Del Marie, with a tray of orange juice in champagne glasses. We were blown away by the immensity and beauty of the main lodge and surrounding compound. The interior is as beautiful as the exterior and it is nothing like we have ever seen before. Thatched grass roof, large tree support structures, ceramic floor throughout, open bar, wood carved dining table with exquisite chairs and appointments. The walls are decorated with African motif, beautiful wildlife head mounts and all doors to our suites are hand-carved with the “Big Five “animals. The guest suits are completely from an African movie, ceilings show the underside of the thatched roof, walls are decorated with African masks and paintings and the beds are covered and surrounded with silk-like drapery which was opened and closed each day to simulate a true African outdoor experience. After cocktails and welcome chats with other guests it was time to site the rifles on a special built siting range located on the outskirts of the large driveway and parking area. We met with our PH (our personal guide and tracker ), and were professionally coached in assuring the gun scopes were properly adjusted to maximize the accuracy of long distant firing. We got to appreciate the PH and his experience by going through this process. Once all the remaining guest hunters returned to camp the cook crew prepared a stunning meal of open flat pit BBQ chicken. The host, Pieter, joins the guests for supper nightly and sticks around for an hour or so as a courtesy to his guests and shares stories with everyone. Morning came early at 4:45 a.m. The PH was dressed, cruiser truck gassed up and he was waiting at the door precisely at 5:30 giving us little time to have our breakfast and first cup of coffee. The hunt was on. Unfortunately it was a very windy day with steady gusts at 40mph which is not good for stalking impala, wildebeest and gemsbok. The swirling gusts spook the animal into moving rapidly in all directions. We tracked a small herd of large sized wildebeest for over two hours and finally a huge bull ran across Gerald’s path at about 250 yards. The shot was made and it dropped instantly. His PH, known as MC, was pretty excited and kept saying that this one will make the record book. After many pictures we returned to camp around 6:30 p.m. and had another excellent supper. On the first day of hunting, Bryan left camp with another PH guide and tracker and located themselves on a different property than Gerald. While the sun was rising he saw giraffes, warthogs, sable, blesbok and a zebra. It was a busy morning like Gerald’s but Bryan returned to camp for lunch, Gerald’s team stayed on the hunting property. As you travel down the long driveway you are greeted by 3 ostriches on the opposite side of a page-like fence. They meet the truck at the entrance and race it to the parking lot at full gallop. This is performed daily. The hunt involves a lot of walking through the bush which is made up of a variety of trees and shrub. Most of the vegetation has barbs and not one of us came out without having been cut or poked somewhere. While walking it seems like 50 eyes are always watching and when spotted they dart away from danger. After a long day of heat, wind, scratches and tracking in the bush, Bryan finally takes a good-sized blesbok which he is very happy with. He and his PH, Sarel, came back to camp around 7:30 p.m. with smiles on their faces. The adventure has definitely begun and now that the one-day is under our belts we look forward to many more days of successful hunting. Hans has decided to photograph in the Kruger National Park and will most likely catch up to us at Cruiser Safaris around Oct. 5. Words cannot describe our experience in Africa. We woke up at 5:30 for a nice breakfast of eggs and kudu sausage. Gerald headed to the river property. Driving in he saw 6 wildebeest and 3 zebras. He could not get a shot at the zebra. He began chasing gemsbok, however, kept getting busted as they either saw us or picked up our scent. In the afternoon he headed to another property where the owner had seen kudu bulls. At 6 pm 7 bulls appeared and Gerald shot at the largest one. His tracker and PH followed the animal for 20 minutes, however, the light gave out and they decided to try in the morning. Sarel (PH), Munsu (Tracker) and Bryan head for a 10,000 acre property. After a couple of hours of seeing zebra, red hartebeest, Sarel says that we have not seen any zebra yet. As luck would have it, 5 minutes later we came across our first herd of zebra. Sarel said they would run for miles. We raced about a mile trying to get in front of them and waited. We can hear something walking through the bush and 15 eland ran in front of us. Then after 10 minutes, 6 zebra walk by. It is unimaginable how the stripes go together on a zebra. Sarel says no two zebra have the same striping pattern. In the afternoon we watch a water hole and see bushbuck, warthog and a jackal. I shoot the jackal as he is a predator and will kill many young impala. We woke up early to another good breakfast. Gerald headed back to search for his kudu. After 20 minutes of tracking he found his animal. He was a beautiful record sized bull, 55 inch horns. In the afternoon Gerald hunted for blesbok. In the evening, MC (his PH ), and Gerald stalked to within 140 yards of a blesbok buck and dropped it. This was also a record buck. Early morning finds Bryan exploring new property. As the sun rises we see dust in the horizon caused by wildebeest running over a mile away. They must have heard we were coming. We stalked for over two hours with no success. Sarel spots a herd of gemsbok. They are a beautiful with long black ringed horns and brown and white faces. We start another stalk; they are super smart, very fast and have good eye sight. We walk about 30 minutes and for the first time I saw 2 magnificent gemsbok. The bush crackles to our right and we hear a snorting gemsbok running away. It takes us another hour to catch up to them. This time Sarel puts up the shooting sticks and get a huge gemsbok. Sarel is super excited, jumping around and shaking my hand. In the afternoon we see blue wildebeest running with a herd of gemsbok. The big and tough wildebeest separate from the herd and Sarel tells me to take the one on the left. I shoot and Sarel yells out “whack him again “. We take pictures as we marvel at the muscle mass of this strange looking horned and bearded beast. Gerald: The hunting in the bushveld has been a learning experience so far as my clothes and my arms are bearing the scars of every tree and bush being full of thorns. The thorns tear cloths and go thru the bottom of my hunting boots as if I stepped on a nail. Each night I use pliers to ;remove them. The mornings are warm although my PH dresses like its cold, at 11 am the temps are in the 30c range. I am walking at least 10 miles per day and consume a lot of water. I am hunting for a Burchell Zebra today and find that these are the most difficult animal to hunt so far we keep getting busted as they hear us or they see us I cannot get within 600 yards of them. Although we have seen a lot we did not succeed today perhaps tomorrow. This evening we had a great supper of BBQ wildebeest steak and kudu sausage. Gerald: I head back to the river property hunting Zebra and spend most of the day being frustrated by these extremely wary animals. It is another typical African day with swirling winds that give us away almost every stalk, I have never experienced hunting where the wind can blow in four different directions in a matter of minutes. I have seen more zebra today however they are always running and far away. At 6pm we spot four and stock to within 200 yards this time the wind does not give us up and I am rewarded with an 8 year old stallion. Bryan: I am leaving to hunt at a property for Kudu we head out at 5:30am. We are hunting at a farm property. Both Gerald and I have learned that shooting thru light brush is not effective as I have a shot at an impala and the bullet misses as it deflects off a small branch, this would never happen back home these branches are extremely hard wood. I sit at a water hole for cattle waiting for my Kudu bull a long afternoon is becoming evening. We are thinking of heading back when a herd of 5 bulls appear I pick out the largest bull and with one shot I have the trophy bull that was at the top of my Africa list. Bryan: This is my second day chasing Impala this small antelope type animal is very smart and challenging to hunt as they are in large herds and it is difficult to stock with so many eyes watching. There are a couple of large impala bucks in the next herd we stalk we get close however we are busted again by this wary animal. It is almost noon when we catch a glimpse of the herd. I get a shot at one of the two large bucks and I am rewarded with a large Impala buck, they are beautiful animals and this one will easily score in the SCI record book. Gerald: I head to the river property today after a wonderful breakfast omelet made from an ostrich egg. The egg makes enough omelets for everyone. I am hunting Gemsbok and this is my number one animal we try a stalk on a small herd however we are foiled by a group of giraffes that run and spook the gemsbok. The day continues with stalk after stalk after stalk being unsuccessful, there are so many animals here that when one spots or hears something everything runs away. We head back to the camp after sunset for a delicious supper of Kudu steak and Lamb chops cooked over an open fire. Even though Bryan and I are walking many miles each day we will probably end up gaining weight with all the good food we are served. Bryan: I head out to a new property we are staying out for the day with a pack lunch. We arrive at a water hole to hunt for the infamous warthog. After watching Zebra, Impala, Guinea fowl and Waterbuck arrive at the water hole all day we decide to change tactics and start stalking. We try walking for hours and finally come across a great Boar however he only has one tusk so I pass on him. Gerald: After a great breakfast I am off to the river property this is day two of hunting for my Gemsbok. Both sexes have horns and are hard to distinguish. I stalk to within 80 yards however the gemsbok is with a young one so I pass on the shot. We track a small herd for over an hour I am within 150 meters however we are given up by two warthogs that catch our scent and chase everything away. We track another herd for 45 minutes and get close however we are outsmarted again, this is very frustrating. We decide to try and predict this group’s path and cut them off in a clearing. There are 5 big gemsbok and I shoot at 180 yards. This animal is the most striking of the African plains game and is a great trophy measuring 35.5 inches. Bryan: We are trying a new water hole for the warthog today. A herd of Waterbuck come in first thing. It is 9am and I am doing my daily notes of the iPad when Sarel my PH nudges me and says get your gun the warthogs are here. I ask him where are they I don't see them, Sarel snaps his head and says right there in the water. There are two nice ones and I take the largest one. Sarel says we won’t need Moonsu to track that one. He is a great boar with large tusks. With this warthog my hunt is now over this experience has being beyond belief and to hunt in Africa and be able to get so many trophy animals is something I will cherish as a hunter for the rest of my life. Gerald: I am hunting Impala at a new property and on the way in we spot a large herd. We stalk for over an hour and get within 100 meters of the herd, what a sight I try and get set up for a shot and have a chance at a large male however there is a gemsbok right behind him so I pass on the shot. A few moments later I have a chance at a large male and am successful with my shot. This is another record animal with horns over 24 inches. Bryan: I am off to Marakele National Park to hunt with a camera and to experience the mountains of South Africa. The steep single lane road to the top is narrow and missing part of the edge. We stop to see lions and take pics, one charges towards us and we back away quickly. We become extremely cautious as they are always watching us. Gerald: I spend the entire day in a blind waiting for a warthog and although I am amused by monkeys zebras impala and a variety of others this type of hunting is not for me I enjoy the walk and stalk. The sit and wait hunting for a boar is boring. We arrive back at camp and are taken to the river property where a candle lit BBQ steak dinner is being prepared for us the site is breathtaking and our hosts seem to outdo themselves each and every day. Bryan: Hans and I head out for picture hunting we come across a herd of Cape Buffalo they are huge and they are very dangerous. Then as if he knows it is our last night out steps a black rhino. He is 20 steps away and seems to pose for our pictures he is a marvelous animal and has given us quite the show. We end the night with Hans photographing a giraffe with the African sunset as the backdrop I cannot stop thinking about how blessed we are to be experiencing this. Gerald: this is my last day of hunting and I am tired of sitting and waiting for a warthog I see lots of animals including Ostrich zebra and Impala. I pass on a boar that is missing one tusk and then on another that is too small. This day does not prove a success however I am glad the sitting is over and don't think I would hunt this way again for warthog.